Citroen 'Prefere Total' Old Style Window Sticker. 8". Citroen 2CV Oil Filter Under Bonnet Special Offer Sticker. 7". Citroen 2CV Style Laser Cut Magnet. 2.25"
Citroen 2CV Van AZU AK400 Air Temperature Grill Sticker. 3.5". Citroen 2CV Van AZU AK400 Weight Loading & Dim Sticker. 4.75". 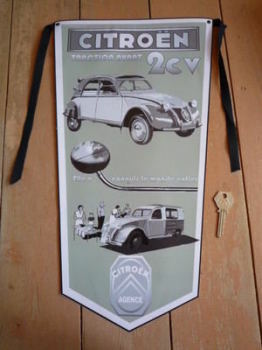 Citroen Agence 2CV Banner Pennant. 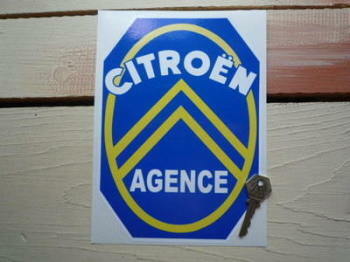 Citroen Agence Sticker. 5.5" or 8.5". Citroen Black & Foil Chevron Special Offer Stickers. 3" Pair. Citroen Black & Gold Oblong Special Offer Stickers. 4.5" Pair. 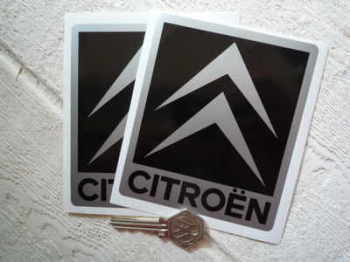 Citroen Chevron Black & Silver Oblong Sticker. 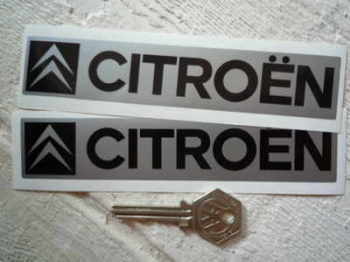 9"
Citroen Chevron Black & Silver Oblong Stickers. 6" Pair. 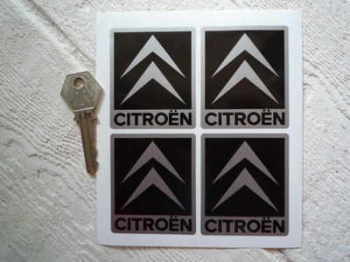 Citroen Chevron Black & Silver Square Style Stickers. 2.5 Pair. 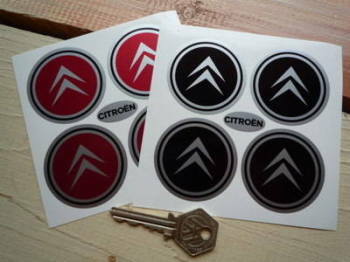 Citroen Chevron Black & Silver Stickers. 4" Pair. 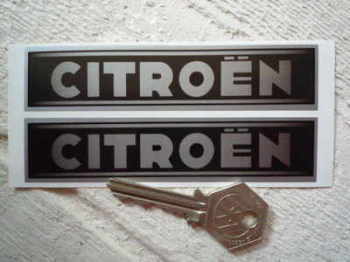 Citroen Chevron Black & Silver/White Stickers. Set of 4. 2". Citroen Chevron Red Square Sticker. 12". Citroen Chevron Red Square Sticker. 8". 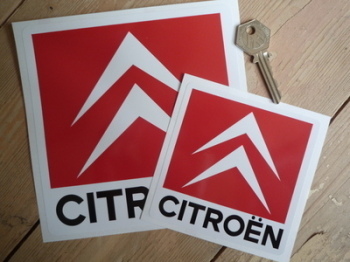 Citroen Chevron Red Square Stickers. 4" or 6" Pair. 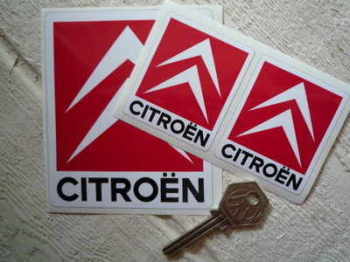 Citroen Chevron Red Stickers. 2", 3" or 4" Pair. Citroen Classic 'Un Service Comme Ca!' Service Sticker. 2". 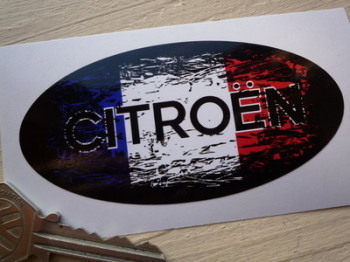 Citroen Fade to Black French Oval Sticker. 4". 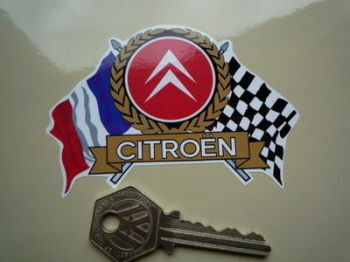 Citroen Flag & Scroll Sticker. 3.75". Citroen France Tricolore Style Stickers. 2" Pair. Citroen Kickplate Sill Stickers. 20" Pair. 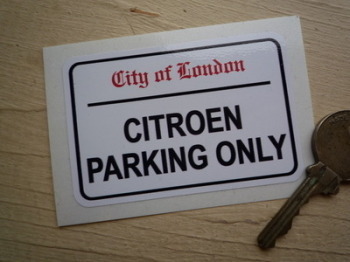 Citroen Logo Circular Laser Cut Self Adhesive Car Badge. 25mm. 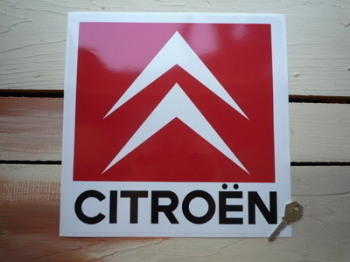 Citroen Number Plate Dealer Logo Cover Stickers. 5.5" Pair. Citroen Old Style Black & Silver Oblong Stickers. 4.5" Pair. Citroen Parking Only. London Street Sign Style Sticker. 3", 6" or 12". Citroen Plain Chevron Wheel Centre Style Stickers. Set of 4. 50mm. Citroen Prefers Total Window Sticker 11.75". 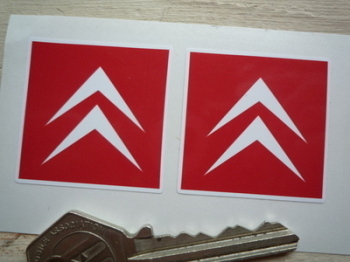 Citroen Red & White Chevron Stickers. 36mm Pair. Citroen Rusty Chevron Style Sticker. 90mm. 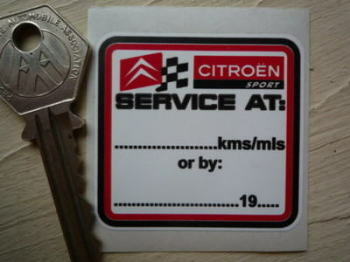 Citroen Sport 'Service At' Service Sticker. 2".